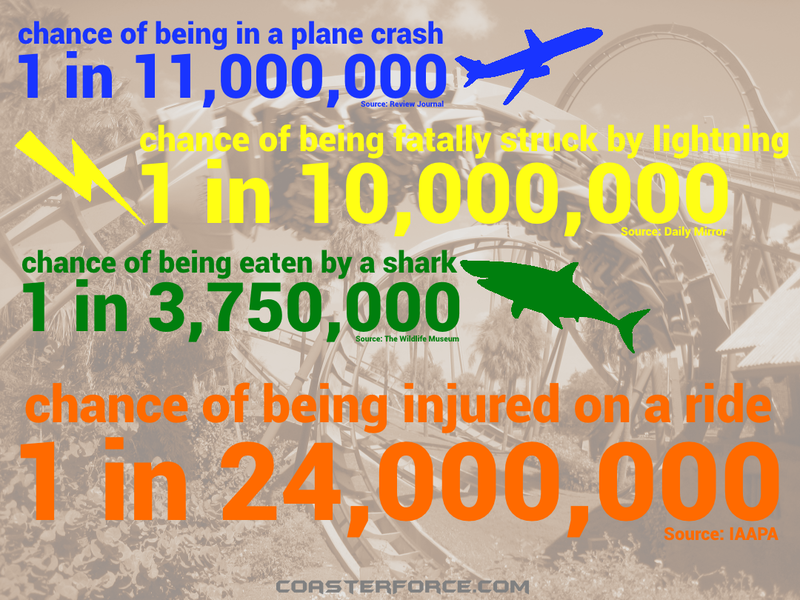 Theme parks and roller coasters are statistically very, very, very safe. 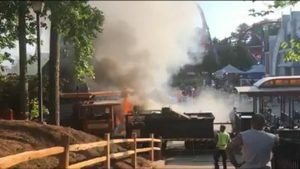 Out of the millions of people who ride the thousands of rides every year, there are only a small handful of incidents. 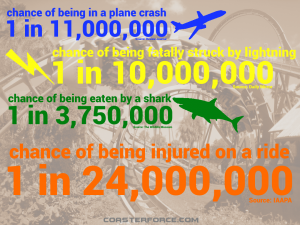 You are statistically more likely to be involved in an accident driving to an amusement park than having one at a park. The rarity of accidents is one reason why the media report them, similar to plane crashes. Every important element of a ride is inspected on a regular basis and every ride is tested every day without passengers before it opens. A ride might not open, or a safety system might activate, if there is an imperfection. 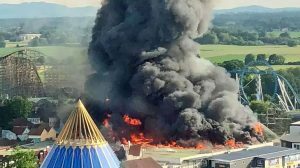 For theme parks to operate, they must obtain insurance and one stipulation is their rides are frequently inspected and signed off by a strict Health & Safety governing body. Every theme park does what they can to prevent accidents because the negative press would be bad for business. Black smoke bellowing from the blaze could be seen from miles away. Engine fire engulfs train at crossing in front of the Superman coaster.